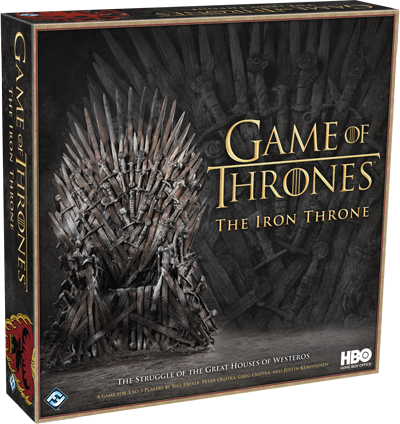 The current big Fantasy Flight Game of Thrones board game is just OK, definitely not my favorite area control/war game engine. It could and should have just been a direct heir to Avalon Hill’s Dune board game with the dials and treachery cards, unfortunately, FF wasted that on their derivative space kitty sci fi setting with Rex, complaining the whole time that they couldn’t get the Dune license to remake the classic while to GOT one was right there! I suspected the new GOT board game may be that Dune remake we’ve been waiting for, but it looks just like Cosmic Encounter, which is not a bad thing since Cosmic is the best board game ever made. Should be out by end of the year, and may have a demo at gencon.